This luxurious apartment is situated on two floors facing on the Grand Canal, with windows on all four sides. On the second floor, a large living room and a generous dining room have five double balcony windows and one single window all looking out directly onto the Canal; the two bedrooms/ with bathrooms are at the back on the second floor on interior courtyards, hence very quiet. There is a third full bathroom with a large bath in an unrented room used for storage, but the bathroom is available.There is a half-bathroom at foyer entrance; fully equipped kitchen, utility room with washing and drying machines and linen. On the ground (or Canal) level, a foyer and a Canal door lead onto a dock on the Canal. There is also a garden/courtyard in the back and a large entrance hallway. Central air-conditioning, television, internet are available throughout the apartment. Description of site: the apartment is located in a Palazzo in the most exclusive neighbourhood of Venice in the San Marco section, and faces onto the Grand Canal. While it is very practical for all communications, located two minutes from two Vaporetto stops on each side (Sant'Angelo and San Samuele) and one minute from a traghetto stop (to cross the Canal); three minutes walk to the elegant San Stefano square and ten minutes walk to the Rialto, it is out of the tourist flow, hence delightfully quiet and peaceful. A very popular family cafe-restaurant is one minute from the front gate of the Palazzo where an excellent breakfast as well as the other meals are available. All correspondence regarding the property must take place for your own security solely through our listed email address. Hardworking and interesting in making art. This is a unique and beautiful city that exists in the world imagination. 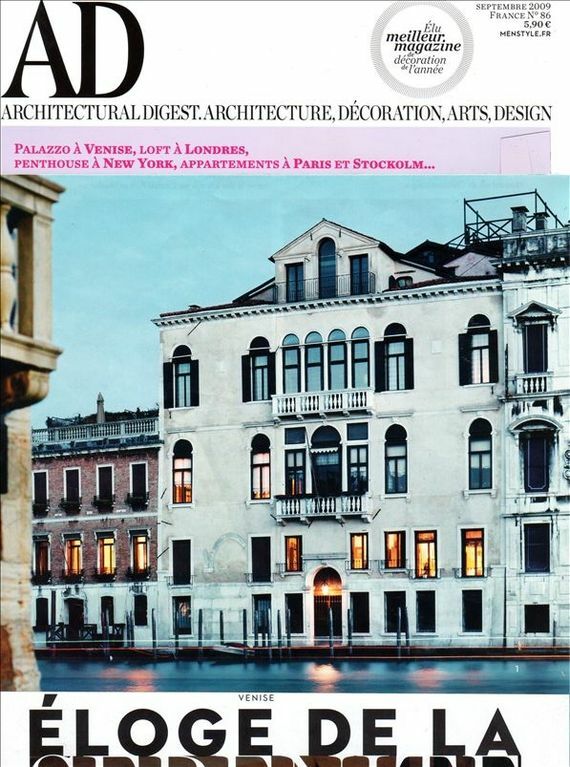 It is not just a vacation rental but our home when we are in Venice. The delight of beholding beauty on every hand as well as the sweet pleasures of a floating city free of traffic noise and pollution, the pleasures of cafes and restaurants, and of wonderful friends! Dock on the Canal with seating, table.. Incredible location; 4 bathrooms - a huge apartment. We had a wonderful time staying at the Palazzo Alvera. We were close to 2 major campos; Sant Angelo and Sant Stefano - everything you might need is right there. Would like to see the bed and mattress replaced in the master bedroom. In addition, the furniture in the living room needs to be replaced. Please excuse me for being forthright about our experience, but the apartment could really be gorgeous with a few changes. Thanks again for a wonderful vacation. So glad you enjoyed your stay. It was wonderful talking with you; you sound a delightful couple. We love our Venetian furniture and would hate modern furniture which would not fit a Venetian palace or our taste. Some people might like a spring filled mattress but we like our latex mattress as no amount of moving disturbs the other sleeper. Each one to their own taste. My husband and I stayed here for a month last winter. Over the past ten years, it was the fourth time we have rented here. It is a magical place. It has 5 large windows on the grand canal. Sometimes late at night when the canal is silent you can imagine it is the 16th century. The apartment is well appointed and well heated and has all that you need to be comfortable. Let me also mention the wonderful library they make available. Often we go to the Rialto market early in the morning to shop and then enjoy our lunch at home watching traffic on the canal. The owners have someone on call at all times if you need help with something or have a question. And the owners themselves can be reached even when they are traveling outside Italy. They have called us at least once just to see how we are doing each time we have stayed there.Venice is a special place with wonderful art and music and endlessly fascinating alleys and side streets. Venice itself plus this apartment make the whole experience one of our very special memories. Thanks for the great review. It's a pleasure to have you coming back frequently. Please come back again. The house was amazing. The location right by the Rialto Bridge was very convenient and close to everything and everywhere we wanted to go. The dock was very special and so was the view from the windows of the house. A rare luxury that most people do not get to enjoy. We loved our stay. Thanks for the great review much appreciated. We had a wonderful stay in this amazing property. The apartment is spacious, perfectly located, with gorgeous views on the Grand Canal, has high ceilings, and stunning artwork. We loved our stay and would definitely come back the next time we are in Venice. Lovely people and left the apartment perfect -- a real pleasure to have them here. This place had a great feel to it. My friends and I spent 17 days in Italy and the 4 days spent here were our favorite and most memorable. The location was perfect. We were between the S Toma and the S Angelo Vaporetto stops but also had our own dock. Close enough to St Marco and to Rialto without having all the noise and crowds. There was several nice places to eat and also to buy food within a couple of blocks. The best part was having our morning coffee and evening wine on the dock watching all the boats go about their business. A couple of minor things almost prevented me from going with a 5 star rating, but since we loved it here I could not bring myself to deduct a star. These minor issues are characteristic of such an old building, i.e. a couple of the bathrooms had very low water pressure and if ANYTHING else was switched on while dryer ran the power went out and we had to reset breaker, which explains why most Venetians hang out their laundry. That being said, I would still stay here in a heartbeat and we enjoyed it tremendously. The manager, Marie Helene was extremely helpful throughout the entire rental process and was always quick to answer any questions that I had. The owner called after our arrival to greet us and check on things, which I thought was very nice and considerate. Thanks for the great review. i know what you mean about the low water pressure-- I love a strong invigorating water shower--I had the plumber in today and he made it a bit better but he ended by saying 'what do you expect in Venice the pipes are old and they clog up. Take a cooler shower it's only the hot water water that clogs up with high lime in Venice.' Sadly i think i have to live with a gentle shower. Yes we do hang out our laundry and it smells so fresh we love it but we have asked the voltage to be increased.Slow process. It would be hard to find a more perfect place to stay in Venice! Several years ago, as we stood on the dock of the Peggy Guggenheim Museum, watching the water traffic pass by, we vowed that, on our return, we would rent a place with a dock and similar wonderful views of the Grand Canal. And we found it in this lovely palazzo! The location of this property is truly superb, not only because of its water-front position but because of the easy accessibility to everywhere in Venice! It is 2 minutes’ walk to the traghetto to the opposite bank of the Canal (Guggenheim, Museum of Contemporary Art, etc.) and about a 4 minute walk to the vaporetto stop for Piazza San Marco, the Rialto, the train station, etc. The Alilaguna from to the airport ($17 p.p.) drops off/picks up at this stop and is a good alternative to a water taxi (which can be tricky and costs $110). About 1 minute's walk away there is a general store and Campo San Stefano (good restaurants and gelateria) and the Accademia bridge are a short stroll away. La Fenice for the Opera is also easy to reach on foot. The owners offer two rentals at this property: a main unit on the first floor (US “second floor”) and a ground floor (US “first floor”) honeymoon studio. The two rentals share the dock and a hallway to the dock. Although there were only three of us, we decided to rent the honeymoon studio, as well as the main unit, so that we so that we would have the whole place to ourselves and could spend late nights/early mornings on the dock without disturbing or intruding on others in the honeymoon studio. This was a great decision. This property is a far cry from a stark, cold rental property: it is clearly the owners’ much-loved second home. The prize feature of the main unit is the grand living room and dining room with a bank of tall casement windows which front onto the Grand Canal. When thrown open, these provide delightful cushioned window seats from which to view the gondolas and other boats passing below. We loved sitting there and watching and listening to all the activity on the Canal. The bedrooms in the main unit are at the rear and sides of the property, away from the Canal, so there are no water views but, at the same time, they are removed from the bustle of the water traffic and allow for a good night’s sleep. We loved our week in this spectacular palazzo and its warm, welcoming, homey, high-end accommodations and would return to it in a heartbeat. We are thrilled that you liked our home. It's true that we love it and enjoy it and it's such a pleasure when other people appreciate it as much as we do. Thanks for the great review. One of the most delightful entertainments is to sit outside the balcony window or at the dock and watch the most colorful water traffic glide by! The dock is of course exclusive to our property!